In We Can Do This! writing expert and Stella Writes author Janiel Wagstaff pairs examples of student writing with writing lessons. Student writing samples are extremely powerful tools for boosting the growth of young writers, and the student samples provided in this book serve as mentor texts and the basis for each lesson. In We Can Do This! writing expert and Stella Writes author Janiel Wagstaff pairs examples of student writing with writing lessons. 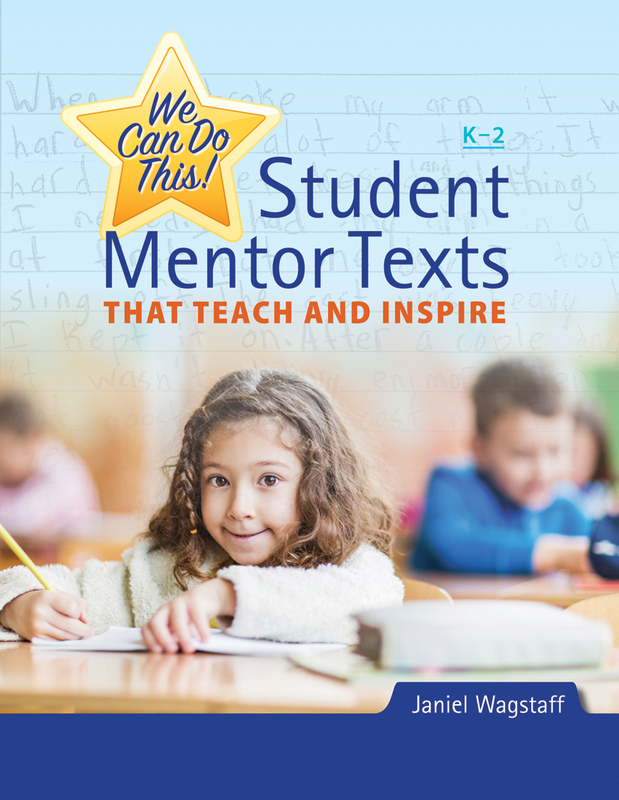 Student writing samples are extremely powerful tools for boosting the growth of young writers, and the student samples provided in this book serve as mentor texts and the basis for each lesson. The samples are mentors that are “doable” for students: they highlight skills, strategies, craft moves, and traits within the reach of their intended audience. As teachers and students study the examples, they will think, “I can do that!” Additionally, samples that reflect the most common errors or trouble spots are included, enabling teachers to explicitly teach to these points. 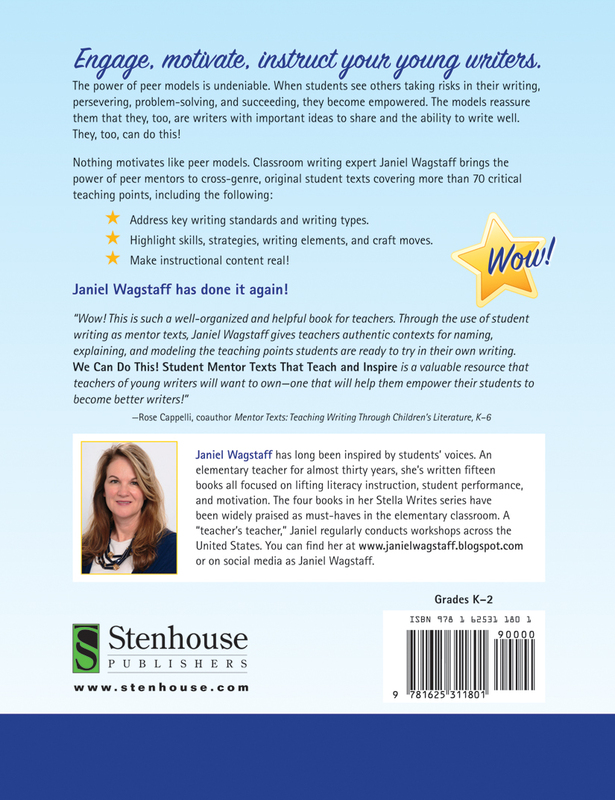 Janiel Wagstaff is a popular national literacy consultant and full-time literacy coach at a K-6 Title I school in Utah. She has nearly thirty years of classroom experience. Over the years, she’s written fourteen books on literacy instruction centered around her everyday work helping students become proficient, motivated, and joyful readers, writers, and thinkers.